I was recently sent two of the shades from Dermelect's new Fearless Beauty Collection! Fearless is a collaboration between Fear No Beauty's Karie Frost, the Beauty Director for Nail It! magazine and NAILPRO, and Dermelect's Creative Director/Celebrity Manicurist, Elle. 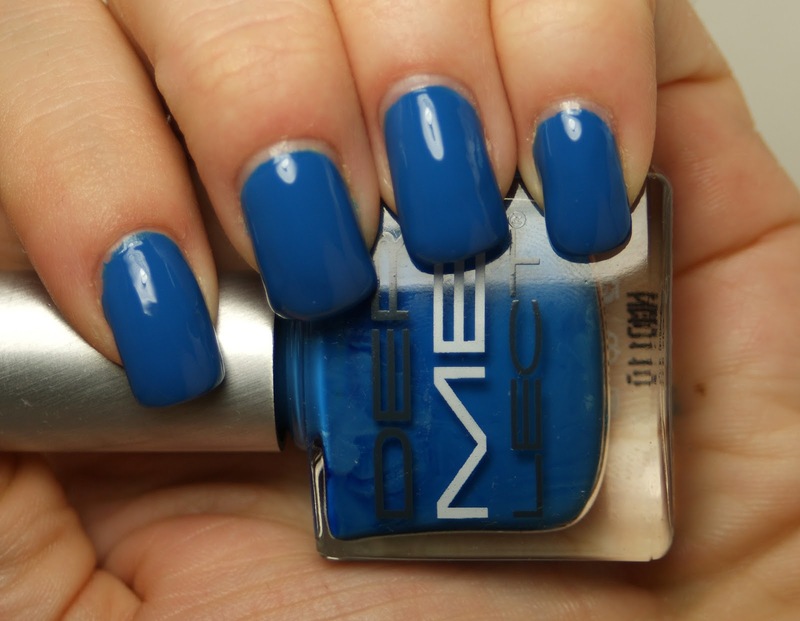 First up is the eponymous Fearless, a bright cerulean blue creme. This was pretty close to being opaque with just one coat, but I used two thin coats. I love that this has a bit of dustiness to it, while maintaining its brilliant vibrancy. And here is Buzz-worthy, a buttercup yellow creme. The above is with three coats. This color is one of the only yellows I have ever seen that hasn't washed out my skin tone or made my skin look a sickly yellow. It's delicate enough for spring, but bright enough for summer. I adore this one! The formula was a little on the thin side, but built up well after the three coats. 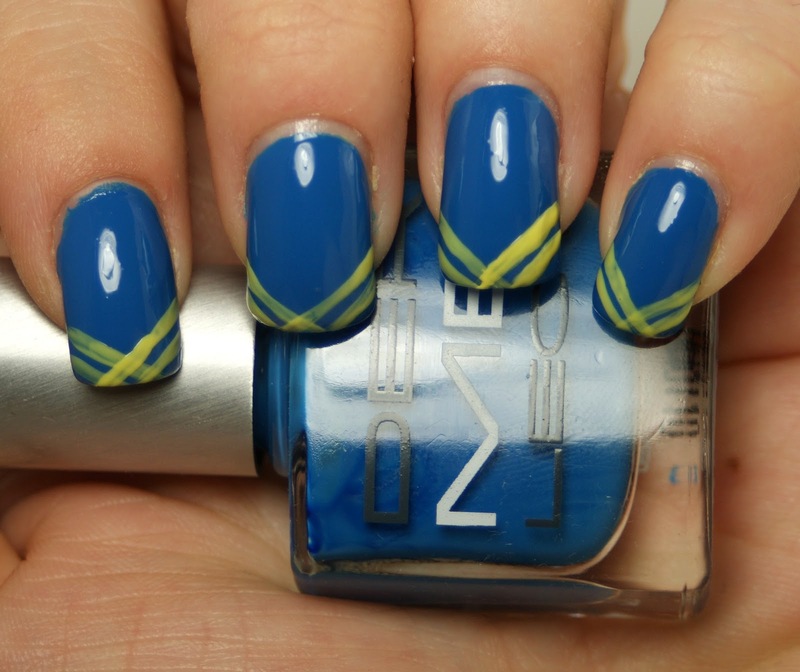 Both colors were right up my alley... so much so, I couldn't resist a little nail art! 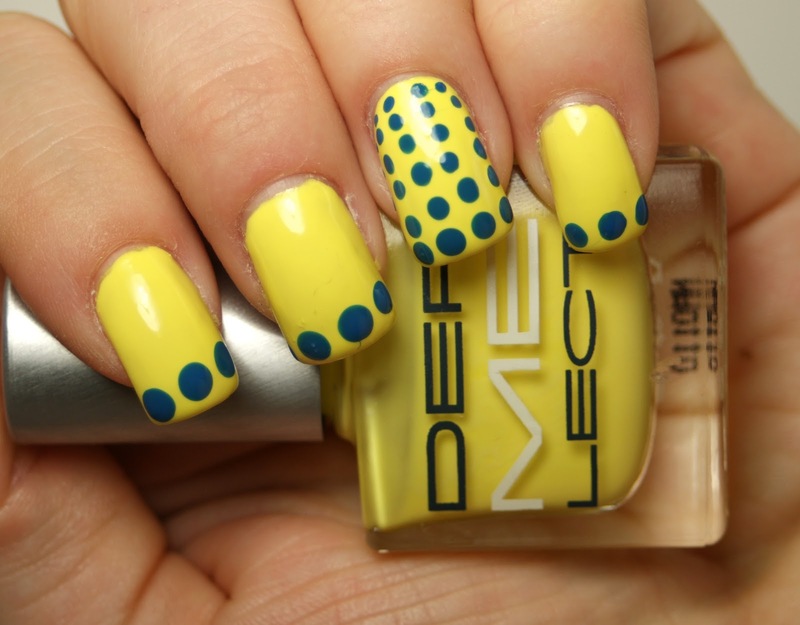 Buzz-worthy base with Fearless polka dots! Fearless base with a double stripe Buzz-worthy French tip! Again, I was really in love with the vibrancy of these two colors and their formula. To be bright and delicate at the same time is very impressive. And I don't think any color I own is a match for Fearless, for sure. Katie of Fear No Beauty and Dermelect are giving away two full Fearless Beauty Collections. Check out how you can win here! The Dermelect ME Fearless Beauty Collection is now available at Dermelect.com. The shades retail for $14 for a .4 oz bottle. What are your thoughts on these two shades?